Inspired by the powerful women of the DC Universe. DC Cover Girls is a long-running line that features dynamic depictions of the most famous superheroes and super-villains in premium 9-inch statues. all based on art from some of the top talent in the comics industry. 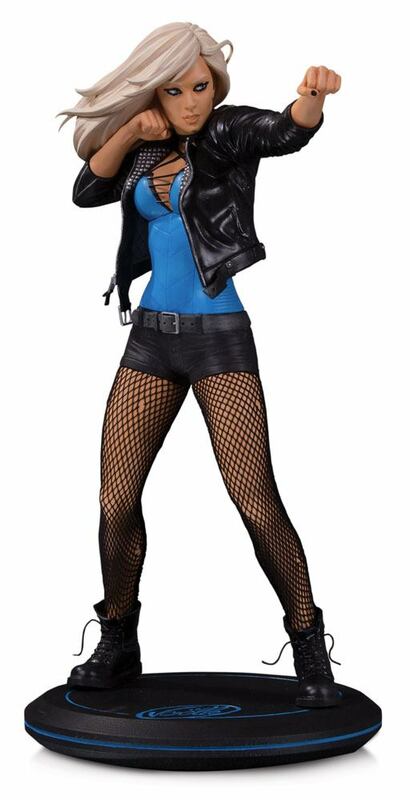 The latest entry in the line is Black Canary. Coming from the Eisner-nominated artist and writer Joëlle Jones. this statue is a vibrant and modern take on DC's dangerous diva. With a rock 'n' roll fashion sense-featuring the leather jacket and corset-infused Rebirth-era character design-and a fearless attitude to take on any foe. this Bird of Prey is ready for whatever the night will throw at her. Measuring 24 cm tall. this sharply detailed sculpt is cast in polyresin. and is a great piece for fans of Jones and Black Canary. Limited to 5.000 pieces and individually numbered.